It ranges from nothing to something. It depends where you are. Some places regulate who can use what kind of helmet, others don't. In places it can be as simple as signalling the difference of being a noble and non-noble. Others will differentiate the different noble ranks as well. If you're asking in general, it's what people wore when murdering each other. It had a similar function as the shield - protected one's head. If this were British, the fact that it has golden bars rather then a visor would indicate a Baron or higher. 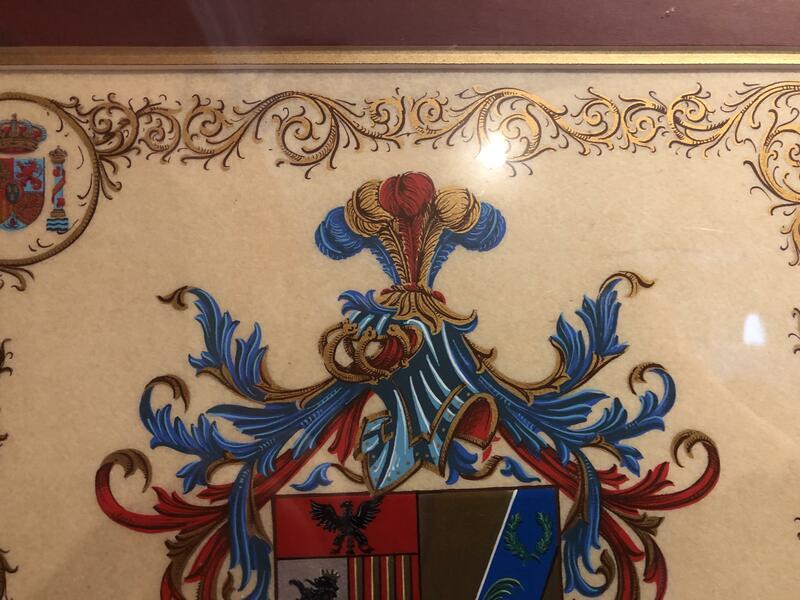 But I see the arms of Bourbon Spain in the corner, so the artwork dates from 1700-1931, and it's Spanish. I have no idea what a helm with gold bars means in 1700-1931 Spain. They're also the present-day arms of Spain. In Spain a helmet is usually just decorative.